Some of you have followed my Instagram Stories a couple of weeks ago. I was showing everything about my visit to the head quarters of Picard close to Frankfurt in Germany. It was an incredible experience to see every step of the production process with my own eyes. 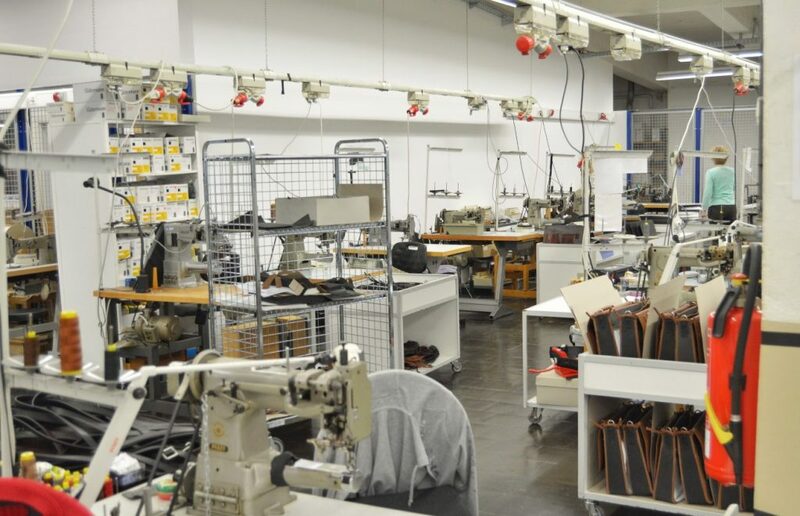 To be part of the team, also if only for four hours – this is how long a simple bag needs to be produced – and learn about the processes, the material and all the production facilities. From Frankfurt the production facilities of Picard distant only a 15 minutes drive with the underground. On my way there I am starting to get exited. Fashion, design and everything around it has always been my passion. As a child I always wanted to study Fashion Design and create my own line. I loved everything that had anything to do with fabric, creativity and style. To be honest this is one of the most exiting cooperations I have been doing with Be-Sparkling so far and I am extremely happy that Janett from Picard was open for such a unique possibility. Janett welcomes me in the reception of the building and invites me to the Picard showroom. The collection being shown is a combination of the Spring and Summer collection. Picard is not designing two but four collections a year. The place is filled with light and all the pretty designs amaze me. From the standard bags as everyone had them in the 50ies (Janett explains me that this model is one of the most requested one, who would have guessed!) until the more fashionable ones as we are used to wear them today, or how we will wear them next year. I am looking around and decide quickly that the bag I chose to create today is definitely one of the designs that I like the most. After a quick coffee and some explanations about the brand Picard we are going two levels down, where the hearth of the production is. 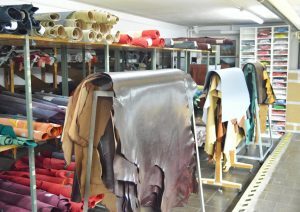 Our first step goes through the fabric storage and I am amazed about how many different types of leather exist, what type of structures can be created in leather and how many colours are available. 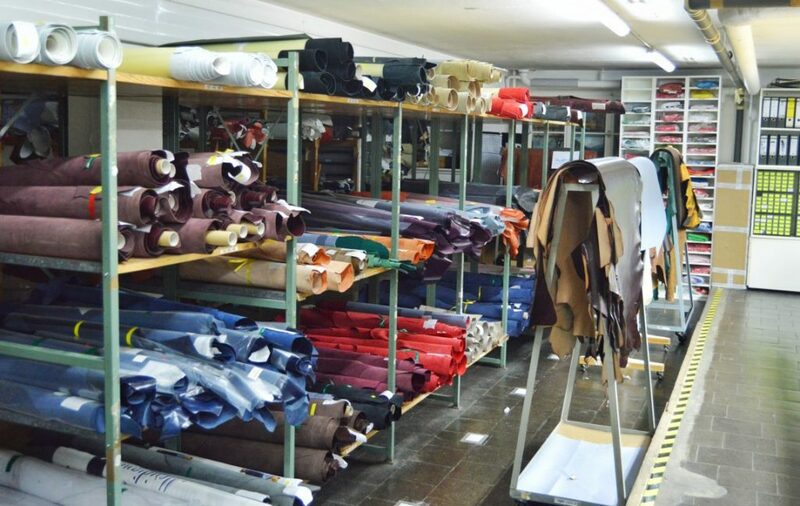 The storage area is large and every piece of leather entering the production area is controlled manually. Janett explains me that Picard is still very much focused on doing every production step manually by the hands of a person. All bags are hand-made and controlled with every person taking on the next step. I am asked to choose my favourite colour among four: a dark blue, a strong grey, a deep red or a classic black. Usually I would have gone with either red or black, but as this bag should be something different and unique in my bag collection I decided to go with the grey. 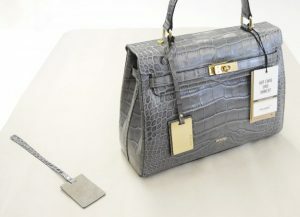 It is a darker and extremely elegant grey so also after some weeks with the bag I am still very happy about my choice. After choosing the leather to work with we are going to the cutting machine. The pieces for my bag are already cut out as it would take way too much time to cut them out singularly. But I am still being mistreated how the machine works. One person can control this large machine alone. The fabric is being layed down on a sort of very short assembly line. In the first moment the parts are being projected on the leather. The controller is adding more and more pieces manually on a computer in order to use every inch of the fabric. Once the best possible way is defined a laser is cutting out the parts one by one. It goes fast, but still takes more time than an actual assembly line would take for production purposes. The single parts of the bag are clued together and in a second step sewed together. In this way there is no possibility for the bag to open up and will be stabil for a long time. This is the step where I was able to do a big part of the work. The clue is added to every side of the bag and then there is a moment to wait before putting the two parts together. Then the two parts are pressed together strongly. If you do this too early the clue is not ready and the bag will not stay together, if you do it too late the clue is too try and the same story happens. Once the first part is clued together and no remaining clue is visible the bag goes to the sewing machine. 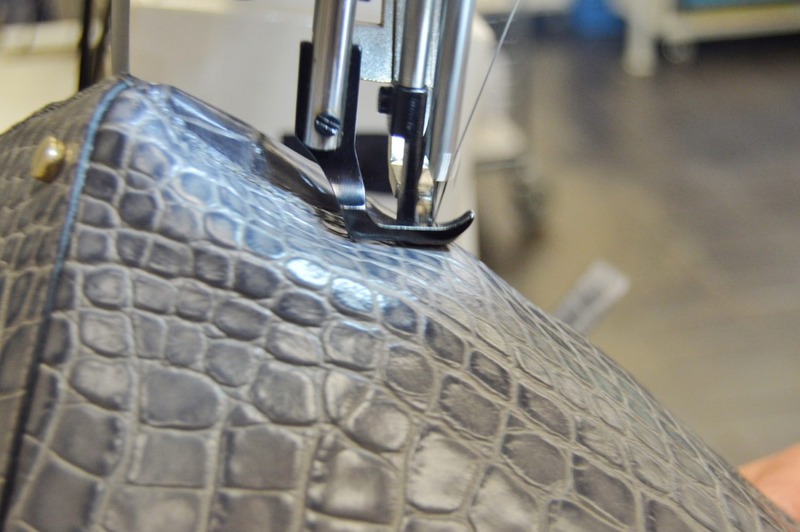 The production processes of a Picard handbag call for different sewing machines depending on the part the sew needs to be done. I am quite familiar with sewing machines but I have seen models here I never even thought exist. The sewer is going right over the previously added clue. Then the process starts again. 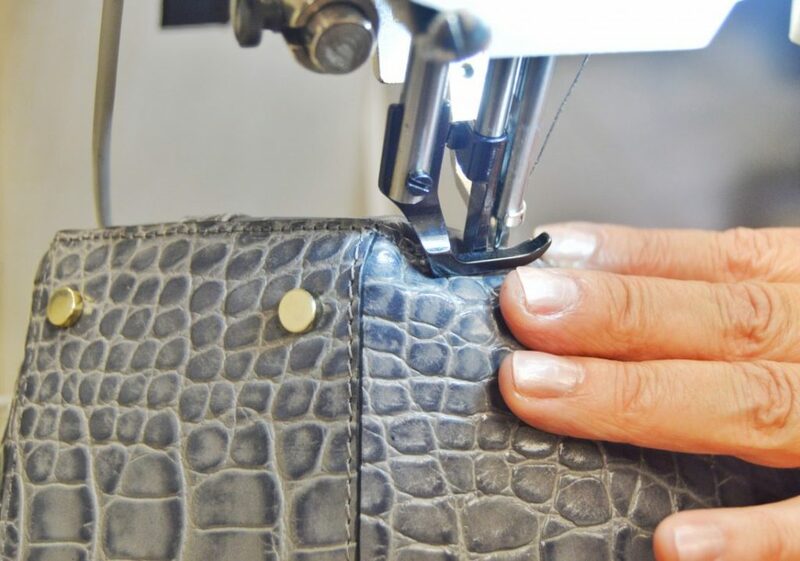 This is a step-by-step procedure that takes at least 4 rounds – depending on the type of bag – by adding a part of clue and then sewing over it. If you are doing only one of the steps badly, the bag looses its quality and will not have the same life expectancy than it should have. Every person that gets the bag in hand is controlling the step happened before in order to exclude the possibility of any loss in quality. All ends of the leather are being painted twice in order not to reveal any possibility for damages. 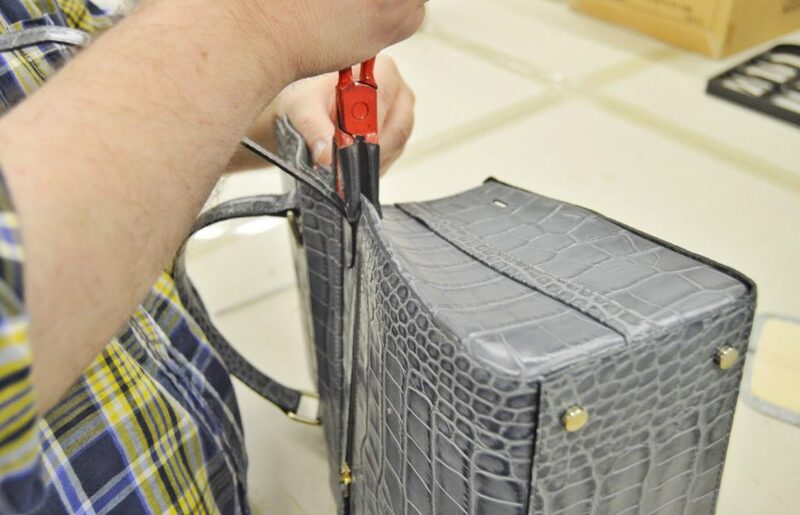 Once the bag has come to its structure the details need to be put on. Super tiny bolts are used to apply the pendant. Before closing the bolts a special clue is being applied. This clue is one of the most expensive resources being used and makes, that the bolts can not open up again. Another sign of quality. Before adding the pendant finally to the Picard bag my Be-Sparkling logo is going to be embossed. I am sitting in front of a large machine. I can’t believe that this machine is needed for such a small piece of embossing. Slowly I am adding the pendant under the machine. Someone already put the form in place and I just have to push a pedal with my feet. I am trying slowly. The machine is not moving. I trying slightly harder. It is surprising how much weight I have to give in, in order to move the machine. The third time I am pushing strongly the form onto the leather, leaving the embossed Be-Sparkling Logo. I smile. This is my co-branded Picard pendant. Now I just need to add it to the final bag. Once the bag is ready it goes to the last step. A woman is taking the bag and is using something that looks a-like as a kitchen torch. Just bigger. “The remaining parts of the clue can be eliminated with the heat and the leather is shining stronger and cleaner!” she is explaining me. Janett shows me in the mean time the remaining parts of the facilities. There are large storage rooms just for small pieces such as elegant locks, closures and other accessories. She explains me, that Picard is keeping every piece ever produced, so that if someone needs a replacement even for a super old bag the parts are still available in most of the cases. The oldest parts, that are kept here are older than I am and still look like they have been produced yesterday! 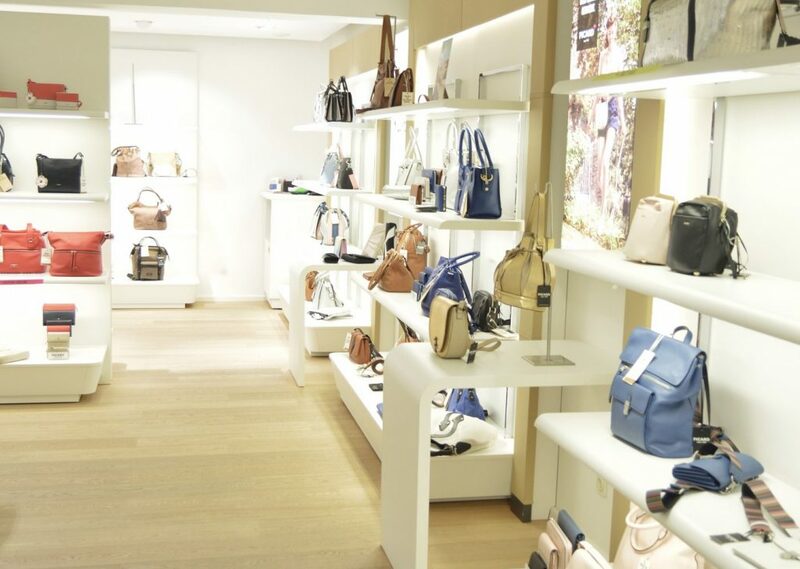 The bags usually have a guaranty of 2 years, 5 years for the “Made in Germany” Line. However if clients bring their bag with small parts to be repaired they often do it on-the-house even after the 5 years are over, Janett explains me. The highlight of my christmas give-aways is today: a real Picard leather bag. I am sure you can feel my excitement of this collaboration in the text above. I am more than happy to share this with you today on christmas. This special gift can only belong to one person and the double branded bag is available only two times. One I have myself and one is a give-away for one of you! When i have a date with my girlfriend. I’d give it to my wife as her push present (just had our first baby). It will be her first real leather handbag & she will wear it everywhere! Fantastic article Miriam, great to see up close how much detail goes into making these amazing bags. 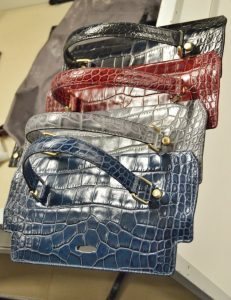 Look forward to more articles from you regarding designer bags & designer fashion. Der Bericht über die Herstellung ist ja mal super! Erinnert mich an meine alte Zeiten, als ich noch als Bekleidungstechnikerin gearbeitet habe. “Auf ewig und immer” würde mich die Tasche von Picard überall hin begleiten. Zum Italiener um die Ecke genau so wie zu großen Firmen-Events. Zur Jeans genau so wie zum kleinen Schwarzen. I would like to wear this beautiful bag every day. Especially when I work in the office. I love the color of this bag! I would wear it to work. I know, boring. But it suits my wirk capsule wardrobe perfectly. I would use it all the time. I love a great bag, This bag would be an asset to any look! I’d love to have this to wear for my birthday on Jan. 9th. I would like to win to gift it to my girlfriend and wear everytime when i was with her. It looks so luxurious! I would take it with me everywhere!! Many thanks for giving us this opportunity to win such a fantastic bag! Would love to have this lovely piece. I would wear this bag to work to carry all my essentials…and I’d probably carry it just about everywhere else too. I’d use it everywhere as I don’t have a decent handbag right now! I live in the U.S. So I guess I can’t enter. I would wear this bag to work and be a boss! I’d love to wear it for a lovely dinner with my husband! How interesting are the steps till a new bag is „born“ <3 really my favourite blog article in the last month! Hi Marina!! You are the lucky one to win this bag ! Please get back to me within the next 7 days with your address information, so that we can send the bag to you! If you don’t the bag will raffled out again among the other participants. I’d use to for going out with friends!!! It’s perfect and would go with everything!!!! I’d wear that out to my anniversary dinner! I would let my mum take this to her special dinner at the chard, in london for her 40th wedding anniversary in March! I would love to wear it for nice occasions. I would gift it to my cousin who would love to take around Leeds centre. I would love to wear this beautiful bag on a fantastic dream day out in London, shopping in Covent Garden followed by dinner over looking London in Duck and Waffle. It would be perfect for taking through day to evening and fitting everything in. Hello, I’d wear it with red cashmere and dark jeans or with my pretty red, grey or black dresses – it is so versatile! Thank you for the lovely giveaway and Happy New Year! This Picard are BAGS better than others ; so I will take it to the Ms Galaxy UK 2018 final as no one else will have one ! 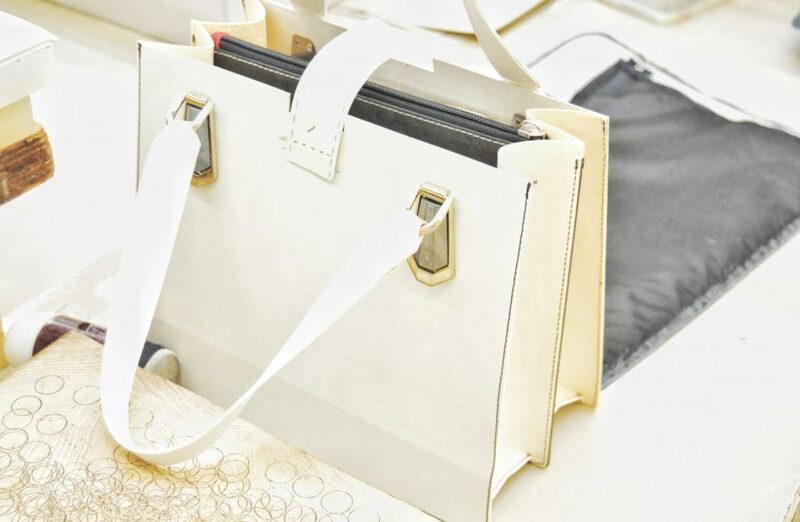 Love this bag-It is simply divine. I would love to win this and give it to my partner as a surprise. I’d love to wear this bag whenever I go out, it’s so me! I would like to wear this bag in an elite party where really well known people meets and socialises. I would wear this bag everyday to show it off which means going on school runs and to work. Sehr gut! I just purchased a bag from Terra Cotta Row, based in London. I’m not sure if they use laser cutting, or not. I also love grey, with a pop of color! How exciting that you got to make your own bag! Thank you for sharing! Love your blog! I hope I’m in time! I’m on holiday in America at the moment and I don’t know what time it is at home in Portugal lol! I’d love to wear that bag out to dinner with my husband for our 20th wedding anniversary this year! The give-away is closed and the winner is being contacted. Thank you all for participating! Such an interesting process! Great photos!